Despite all my best intentions of writing a few more My Thoughts On… posts for the films I’ve watched recently, I’ve been lax again, and I kind of just want to get thing tidied up so I can start afresh. That’s the plan, at least, but I know myself well enough to know that I will probably find myself saying exactly the same thing in a couple of weeks! I really wanted to write a full post about this, but I didn’t do it promptly enough, and now I find myself with less to say than I would like, so I have to fold it into an I Watched That post. I really, really liked Inside Llewyn Davis, and I knew I would from the moment I heard Mark and Simon talking about it on Wittertainment (even if they weren’t sure about it). I’m not some huge fan of the Coen Brothers; I’ve seen very little of their work, to be honest. I think this is possibly why I enjoyed it so much, after all, without a working knowledge of their back catalogue, the burden of expectation was very much removed when I watched it, and I was able to just enjoy it for what it was. I always find it slightly odd to watch a film where you aren’t encouraged to like the main character at all, and that is very much the case here. In fact, there aren’t many likable characters at all, but it didn’t detract from my enjoyment of the film, and I absolutely loved the music. I watched Now You See Me one night at my friend Anna’s house, and we honestly spent about half an hour browsing through Netflix and Amazon trying to find something to watch. I have to take the blame somewhat, because I vetoed an awful lot of choices (I have to be in just the right mood for the majority of films), but we settled on this one, and I enjoyed it, to a degree. Afterwards, I said that I thought that it wasn’t as good as the sum of its parts. It was all very flashy and exciting, and I love watching magic being done on a grand scale, but when it came to it, I didn’t feel completely satisfied by the ending. It has a great cast; I’m a fan of Jesse Eisenberg, Mark Ruffalo, Woody Harrelson and Isla Fisher, as well as an actor I love called Michael Kelly. But I wouldn’t necessarily rush to watch it again. I went through a bit of a Mark Ruffalo phase here, obviously! 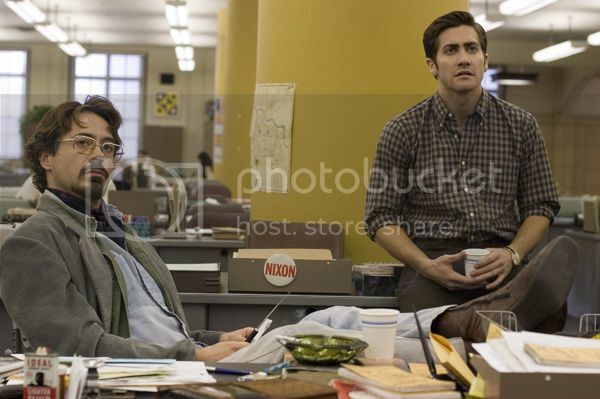 I have been meaning to watch Zodiac for years, and finally got around to it last month. I did enjoy it, and it has another cast full of actors I like a lot (Ruffalo, Jake Gyllenhaal, Robert Downey Jr), but I thought it was too long, and for me, it got a bit boring in places. I was really interested in the case, which I didn’t know an awful lot about, and it has led me to do some more reading on it, but again, I don’t know if I would feel the need to watch it again. 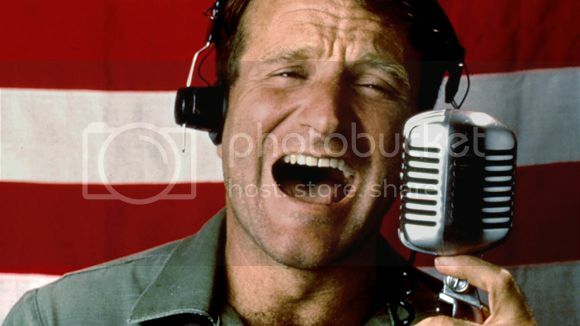 I guess it’s perfectly obvious why I watched Good Morning Vietnam when I did. When he died, I realised that I had only seen ten Robin Williams films, and while I love the ones I have seen, they are not the ones that are considered his best. How Good Morning Vietnam passed me by for so long, I don’t know, but when I found it on Netflix, I decided to start putting things right, and watched it. I actually wasn’t sure if I was going to love it, because i have a shaky relationship with films labelled ‘comedy’, but I really liked it, and of course, that was all down to the main man. It was great to watch him at work, riffing and improvising his way through almost the whole film, and it did make me laugh a lot. The famous scene where he provides an impromptu stand-up routine for the soldiers heading out is wonderful; hilarious and poignant. And it was great to see Forrest Whittaker in a comedic role, because I’m so used to seeing him being dour and serious. 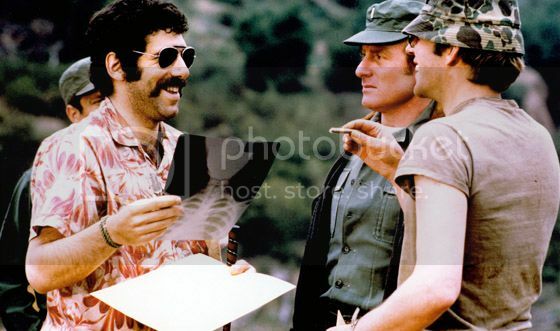 I watched MASH because I’ve always had an idea that I would like the television series, and I figured that the film wouldn’t be that different. Well either I’m wrong about how much I would like the television series, or the film and series are different, because I really didn’t like the film. It’s on the AFI list that I’m trying to make my way through, so watching it was not a total loss, as I get a tick on that list. But I didn’t enjoy it. It didn’t make me laugh, and while I understand that it’s a satire rather than an out and out comedy, I didn’t like any of the characters. I know that I’m not supposed to like them, that the film is making a comment on society, but I found it hard to spend that amount of time in their company. I’m sure that I’m probably missing something, as it’s considered a great, but I don’t think satirical black comedy is for me, somehow. This roundup takes me to within four films of being up to date, and in an ideal world, I’d write separate posts about all of them, because I feel I have a lot to say about them. But we’ll see; don’t hold me to anything! 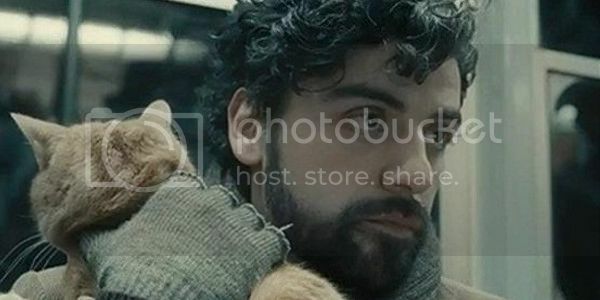 I loved Inside Llewyn Davis, and I especially enjoyed the fact that there aren’t really any likeable characters (which for me is strange, I like to like people!). But I think I would have found Davis’s struggles heartbreaking if I’d actually thought him a decent person. Yeah, I totally agree, it was strange not to like anyone, but it definitely made for an interesting film! I’ve not seen any of these! I think it’s pretty impressive that you’ve watched 10 Robin Williams films… I don’t know how many I’ve watched but it’s probably not that many. I thought the first film (with the photo of the guy and the cat) was going to be the film about that homeless man and the cat haha. I have the book of it but never get round to reading it. Oh yeah, I haven’t read that book either! Ten Robin Williams films isn’t really that many when you look at his back catalogue! I’m going to try and watch some of the big ones I’ve missed – The Fisher King, Dead Poet’s Society, Good Will Hunting.